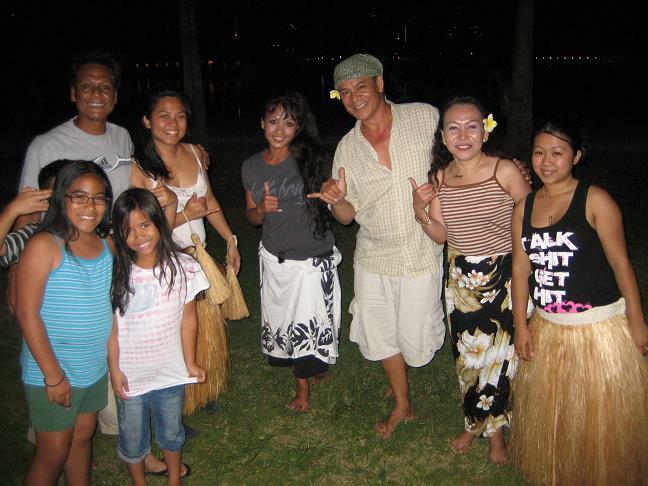 First of all, I would like to extend my heartfelt Thanks to all the wonderful people who shared their time and energy in order to find a place where we could start to study, learn enjoy and share the laughter of being together in dancing the world's famous Hawaiian Hula. 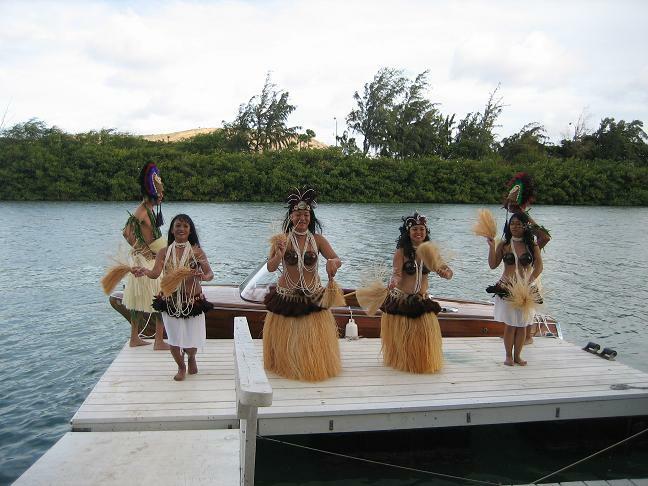 Hawaiian Hula by definition is the country's culture and Hula itself brings you to understand the beauty of Hawaii Islands and its people. 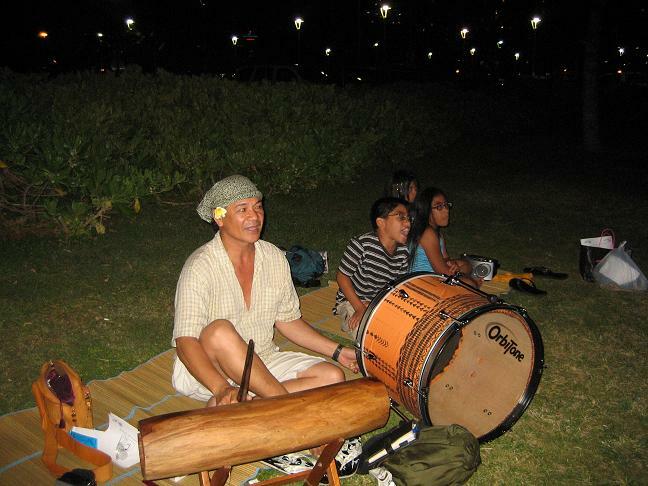 Hula is wonderful for it shows many of the ideas and events of Hawaiian history not only to hula lovers, but also to those who came across hula by chance. 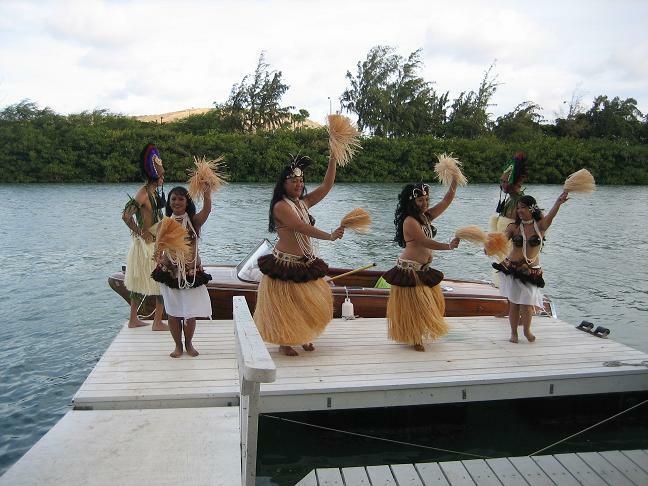 According to Hawaiian history, before European discovered the islands, men and women of separate Hula schools(HALAU HULA)taught young students how to dance and performed for special occasions. 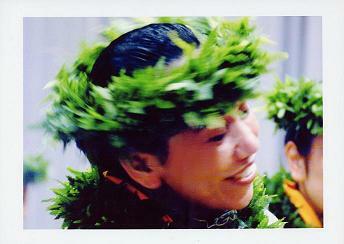 This knowledge and skills in hula was passed from generation to generation and even now, young dancers or students(OLAPA) still study in halau hula under the strict guidance of teachers(KUMU) depicting the legends of Hawaii'i, the country's monarchy, and the beauty of the islands and it's nature. 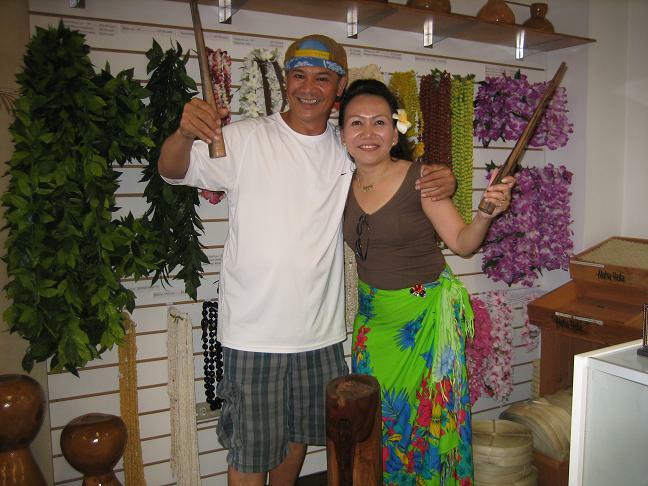 This traditional style of Hula is called as HULA KAHIKO(ancient hula) It is performed to MELE(chants) accompanied by percussion instruments. In the early 1820's, the missionaries arrived and disapproved of what they considered the licentious or immoral nature of hula and their strong devotion to their ancient gods. They virtually banned hula performance in public for at least fifty years. 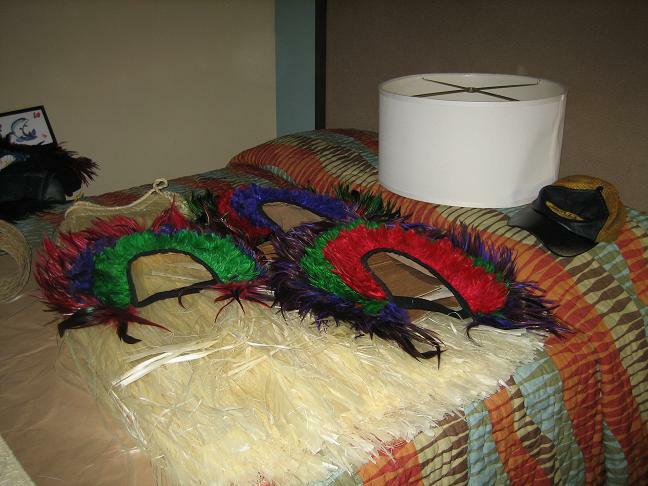 Fortunately, It came to an end when some of the monarchy in those days came to realize that hula was essential and indispensable to Hawaiian sense of pride and identity. King David Kalakaua, as a public declaration, invited dancers from around the islands to perform at his coronation in the year 1883. That's the starting point of the new era of modern hula. Around the end of the century, hula began to change into a less formal style. 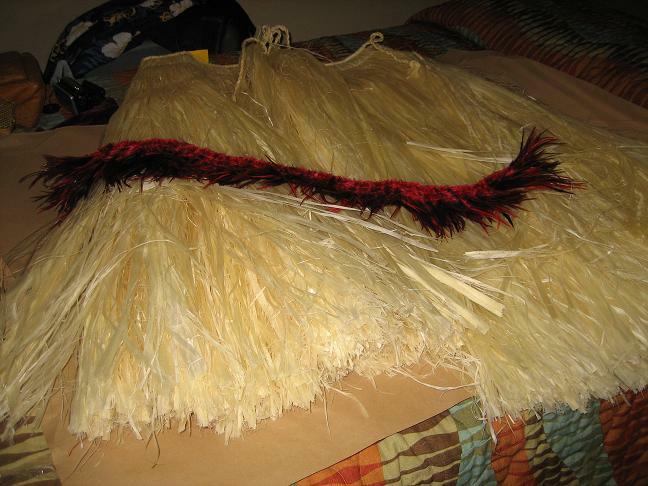 This Hula is referred to as HULAAUANA(Modern hula) where a dancer is performing more closely with the audience, but still keep the vital style of hula and concentrates on telling a story. This was the time when the western stringed instruments such as the guitar the bass and the ukulele accompany voice. 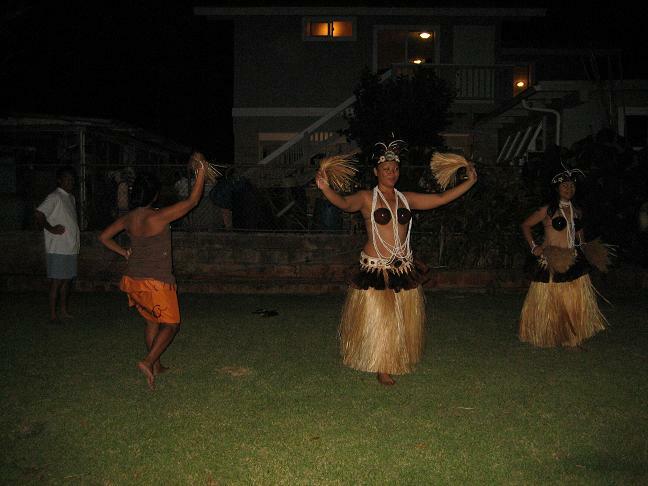 And this the beginning of the new era of modern hula where one is likely to enjoy this dance at a party. By the way, I would like to take the opportunity to introduce myself to all the visitors of this site...My name is AURIC NAGASHIMA, married to a wonderful Japanese man for twenty two years and blessed with two beautiful children who both are in love of music. I'm presently residing in Saitama. Since my major is English I started working as an English instructor at a cram school a year after I arrived here in Japan. To teach and dance is one of my objectives in life. When I was a kid, I had a strong influence of Hawaiian music from my father who worked for Pan American Airways for over twenty years. 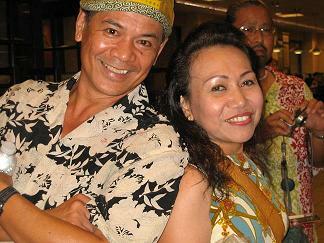 He lived in Waikiki for sometime after he quit his job and brought home his love for Hawaii to his family. 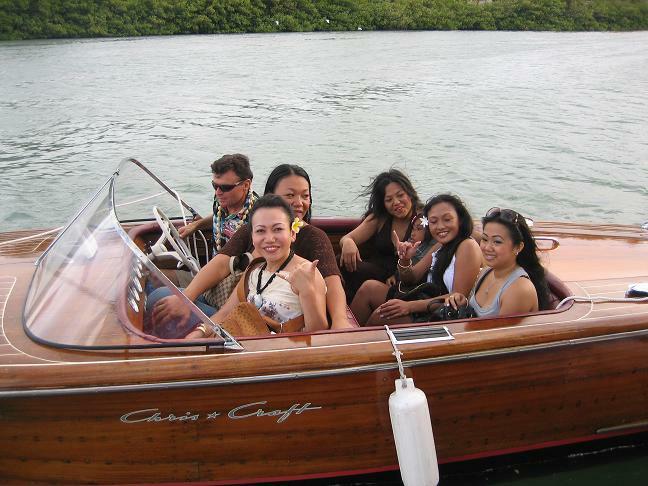 My interest about Hawaii started to grow in me as time passes by. My strong motivation in dancing developed in my childhood age. It came to an extent of my irresistible desire by entering a famous cultural dance school in my country called "BAYANIHAN." The field of dancing in that school is wide-range that made me able to find the chance to get to know a lot of different kinds of dancing styles. 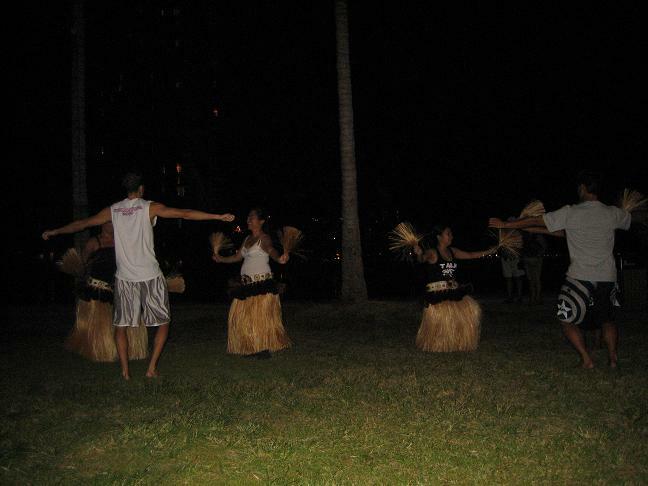 Luckily, our choreographer studied hula as well and shared with us his dancing ability. Surely, the memories of my father's love and respect for Hawaii would remain in my heart and mind forever. 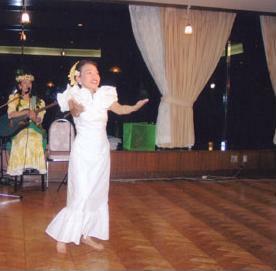 I've studied Hawaiian Hula here in Japan for ten years and since I'm a member of "The Saitama International Volunteer Association," I make use of my skill by doing some volunteer activities in different schools and Home for the Aged by teaching hula steps or giving a simple lecture with concerns to my strong motivation of hula or a dance number. I have started teaching hula around my vicinity in the middle of last year, a little after I have met my present teacher. I respect my teacher with all my heart for her love, support and guidance to her olapa. With God's Blessings, I was able to participate in the "The 29th KING KAMEHAMEHA COMPETITION" which was held in Oahu Island, last year 2002, in the KAHIKO(oli) and(Auana) division under the supervision of Kumu Hula DEREK NU'UHIWA. I want to continue sharing the skills that Our Lord gave me to all the people around who have the interest of knowing what Hula is!! Here in Maka Nani Auric Hula School, you will learn a lot of valuable hula Etiquette such as: a) proper dance posture b) facial expressions c)body language d) grooming etc. 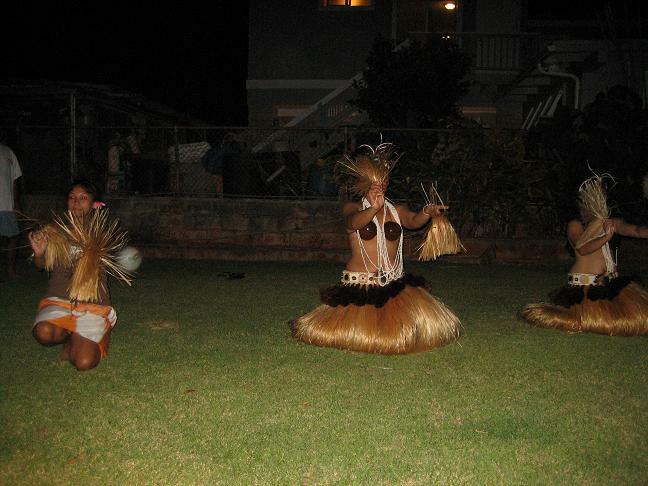 COME and enjoy the beauty of Hawaiian hula for it is good in physical and mental way of caring ones own health! Let's hold hands together and have fun! Copyright(C)2004-2009 Maka Nani Auric Hula School All Rights Reserved.